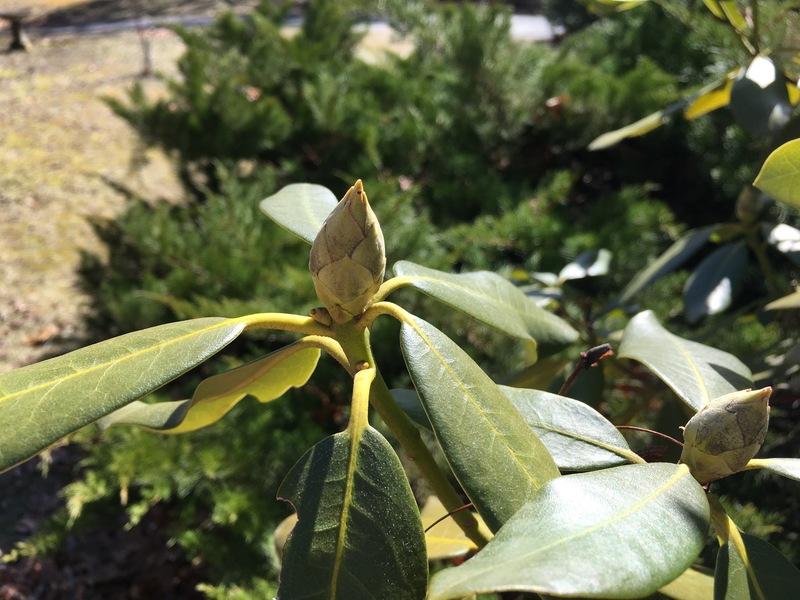 Despite the freakishly cold weather we had last weekend, and the ridiculous vacillations in temperature, the buds on my trees and shrubs seem to be taking it in stride. 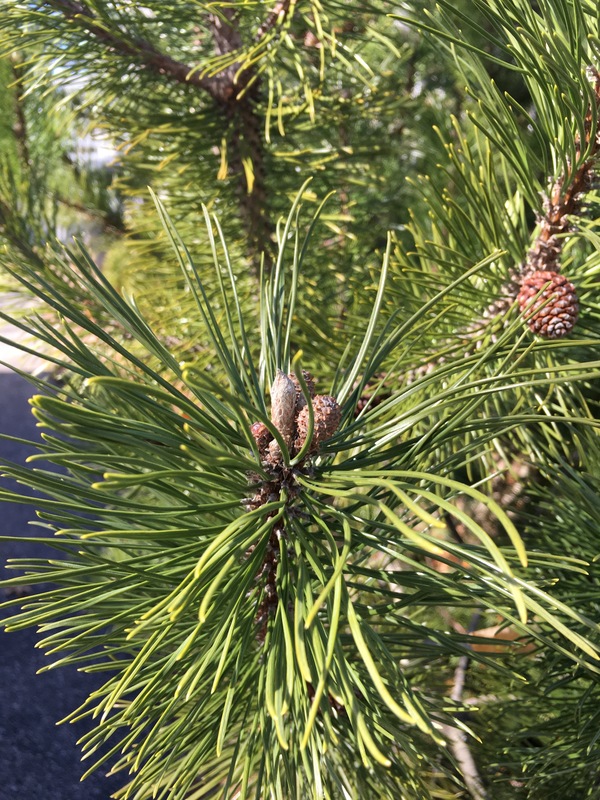 This pine is beginning to show candles. 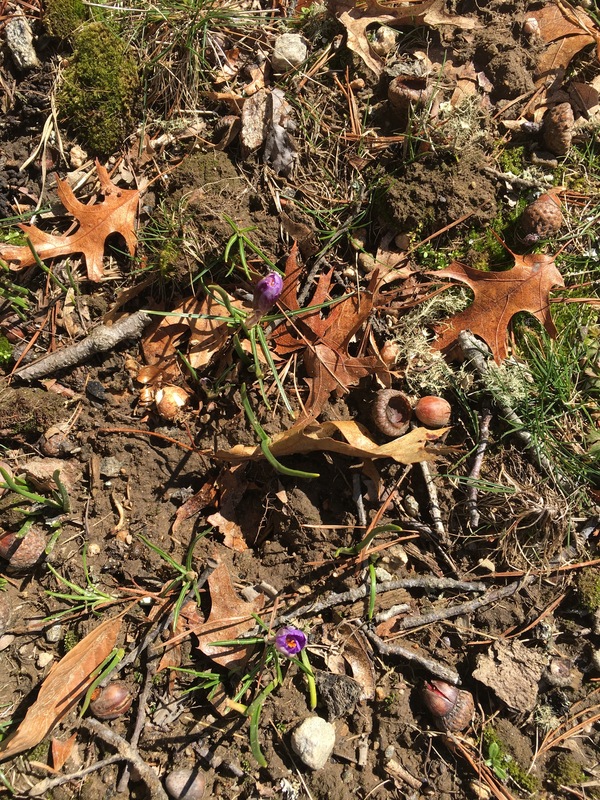 The first crocuses of the hundreds of bulbs I planted last fall are blooming today! These are planted at the foot of a large oak, and I was so excited to see the flowers. I enjoy tucking bulbs into spaces here and there throughout the garden. I remember planting them, but somehow, it’s always a wonderful surprise when they emerge in the spring. Another reason I garden. It’s always fun when the buds start appearing. no matter how many Springs I experience, the miracle of the earth’s rebirth never ceases to amaze me. Our recent temps have shown such wide variation that I’m concerned about my 100 Daffs I planted last Fall. 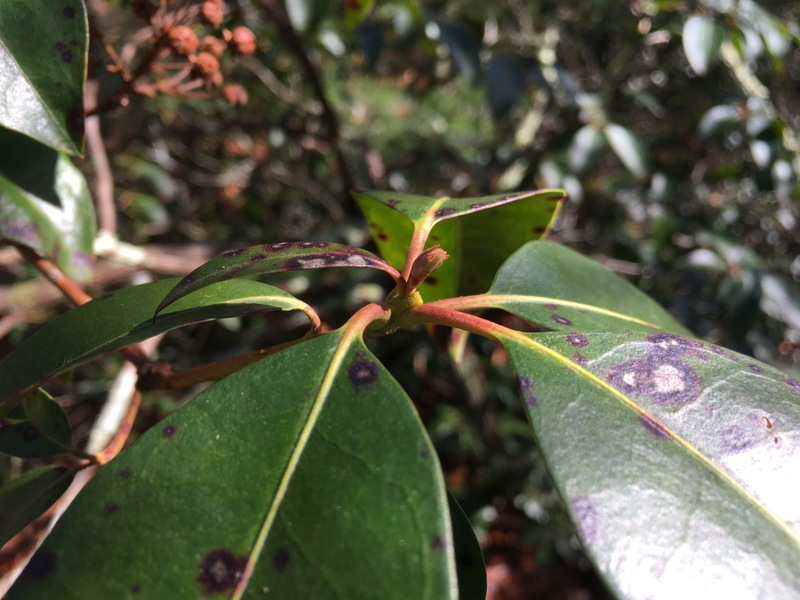 Will they survive 50′ temps one week and then 22′ temps the next? Yikes, I hope so. They are my new babies. Ha! I thought of creating cloches from plastic milk cartons for protection. Nah, too much work. Time to worry no more and let nature show its hand.